The Big Screen has achieved Facthood, according to some in the iOSphere. It's just a question of when iPhone 6 will introduce it. Rumors, rather unhelpfully, suggest anywhere from January to September 2014. It can't come too soon, according to everyone from rumormongering bloggers to Donald Trump, all of them warning of Doom, if Apple delays. Pay no attention to those 9 million new iPhone owners. Much of the rumoring this week was simply rehashing last week's rumors about the screen size for iPhone 6. Claire Hopping at KnowYourMobile created a grab bag of rumors by linking to weeks-old speculative blog posts. "Much of what we're hearing at the moment is conjecture," she begins, modestly enough. Alas, the modesty doesn't endure. "But the next iPhone update is likely to be a very significant one it's a solid number update, and that means big changes...."
How big? Well ... big. "The iPhone 6 will be the handset that sees Apple implement larger displays and that isn't conjecture it's fact," she declares. This fact is based, apparently, on speculation by stock analyst Brian White, of Cantor Fitzgerald, who has been cranking out Notes To Investors since returning from a tour of component manufacturers in Asia. "Our meeting with a tech supply chain vendor during our China/Taiwan Tech Tour today highlighted a bigger iPhone is in the works, and our contact expects a launch in the 2Q:14/3Q:14 time frame," White claims, according to Teresa Rivas' account in Barrons' TechTradeDaily blog. "We are confident a larger iPhone will be launched in 2014," White says. Hopping also links to the oft-linked Sept. 5 Wall Street Journal story that repeated what most people already knew: that Apple does a lot of prototype product testing. "The electronics giant has begun evaluating a plan to offer iPhones with screens ranging from 4.8 inches to as high as 6 inches, people familiar with the matter say...," according to the Journal. "Component suppliers say Apple already began testing larger screens for iPhones in recent months. Apple has been particularly interested in recent tests for a 4.8-inch screen, these people say." Arguments will be raging until whenever in 2014 the Next iPhone or the next iPhone model is released about how big the screen will be, or should be, or must be. This week, Donald Trump added his two cents, by tweeting "As an addition, Apple must go to a larger screen now--asap! They're losing their standing in the market!" They are so losing their standing in the market that Verizon's just-announced Q3 results revealed that only 51 percent of all phone activations were for iPhones (up from 43 percent in Q2); that unit iPhone sales were about the same as for Q2; and that year over year, iPhone unit sales were up 26 percent. Please release a bigger iPhone, Tim Cook, before it's too late! This rumor arrives courtesy of IBM, specifically it's "Midsize Insider," a website intended to be a "valuable repository of expert content tailored for small-to-midsized business owners and IT decision makers. Expert insights and perspectives in the Midsize Insider are gleaned from actionable business experiences and will assist readers in creating efficiencies, cutting costs and delivering results." This particular expert content, "Apple's iPhone 6 Screen May Be Challenging for IT Managers" was written by Melissa Busch, who begins by linking to CNET's coverage of the Big!Screen! predictions by the aforementioned Brian White. Then she gets to the real issue. "The real issue for IT managers, which may become more of an issue as smartphones such as the iPhone and other devices change and evolve, is that employees have begun to move from working in an arena of company-controlled equipment to an area of unknown operating systems, applications and device hardware," according to Busch. "In addition, IT professionals will deal with a special host of problems with mobile devices because they lack many of the trust features that are often found on laptops and other systems." In other words, the real issue is that iPhone 6 may be challenging for IT managers because it's a ... smartphone with an unknown operating system lacking trust features. "What we're trying to say here other than blatantly boasting is that our release date and rumour round-up articles tend to get a lot of things right," blatantly boasts David Court, writing at PCAdvisor. The headline gets right to the question: "iPhone 6 release date: When will the iPhone 6 be launched?" It turns out that history provides clues to the answer. "History repeats itself people, so guess what? That's exactly where we are going to look for a first clue as to when we might see the iPhone 6," Court announces. He offers a table of iPhone release dates. The first four phones were released in June (one in July); the last three, in September or October. What clue does that suggest to Court's keen mind? "While the history books suggest that there will be a new iPhone 6 release date around September/October 2014, we have a gut feeling that Apple might just might shake things up a little bit and launch an iPhone 6 earlier than expected, just like it did with the iPad 4, which was launched just eight months after the iPad 3 (previous iPads were release 11-12 months apart)," he declares. In other words, "We're ignoring the clues of history of going with our gut feeling." And the gut feeling feels like earlier in 2014. But. "But for the record, the smart money goes on an iPhone 6 release date of September/October 2014," Court concludes. In other words, "If you're smart, you'll ignore our gut feeling." So the answer to the question "When will the iPhone 6 be launched?" is: "I have no idea." 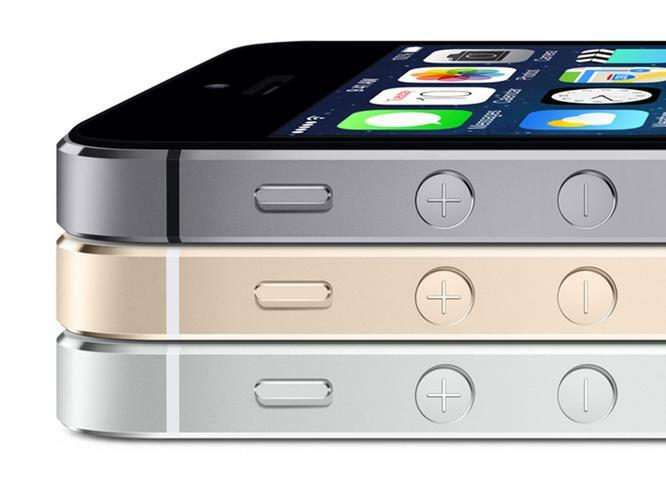 Apple is rushing, stampeding even, to release the iPhone 6 in January because the iPhone 5S and 5C are such failures. That's the reasoning in Erik Pineda's post at International Business Times, where it reveals "iPhone 6 Release Date is Q1 2014: 3 Solid Reasons Why Apple is Rushing the Debut of 1st iOS Phablet." Things are bad, he says. "To offset what seems to be shaping up as an Apple financial nosedive, reports alluded to a move that would lead to earlier than expected coming out of the large-screen iPhone," he reveals. So what are the Solid Reasons for the rush? First, "Replenishing the 5S stocks remains a huge challenge for Apple." The idea here seems to be that Apple is having so much problem getting enough inventory to meet demand for the two newest iPhones that it will therefore rush to release a third new iPhone. Which, of course, would only shift the alleged inventory problem to the iPhone 6; and doesn't address the fact that the inventory "problem" shows how popular the new phones are. Second, the "64-bit A7 chip is giving the iPhone 5S a bad name." We'll skip even the few details Pineda offers on this and jump to his conclusion: "To correct the issue, it's quite possible that the tech giant will simply expedite the iPhone 6 rollout, aside from dispatching firmware updates that should make the already circulating 5S and 5C more stable." Apparently, Apple will solve the 64-bit A7 chip problem by ignoring it except for dispatching firmware updates to, you know, fix it and bringing out a different 64-bit chip in a new iPhone. Finally, "The price is not right, that is of the 5S and 5C." Zillions of people with unsubsidizing mobile carriers can't buy them. So, Apple will release the iPhone 6 in January. "While it may not touchdown with a lower price mark, at least consumers will be convinced that they are getting the better deal as analysts have been insisting for the longest time that the 5S is a mere incremental jump," Pineda writes. So, the solution to the problem of the high-priced iPhone 5S and 5C is to release the high-priced iPhone 6. You can't get more "solid" than that.